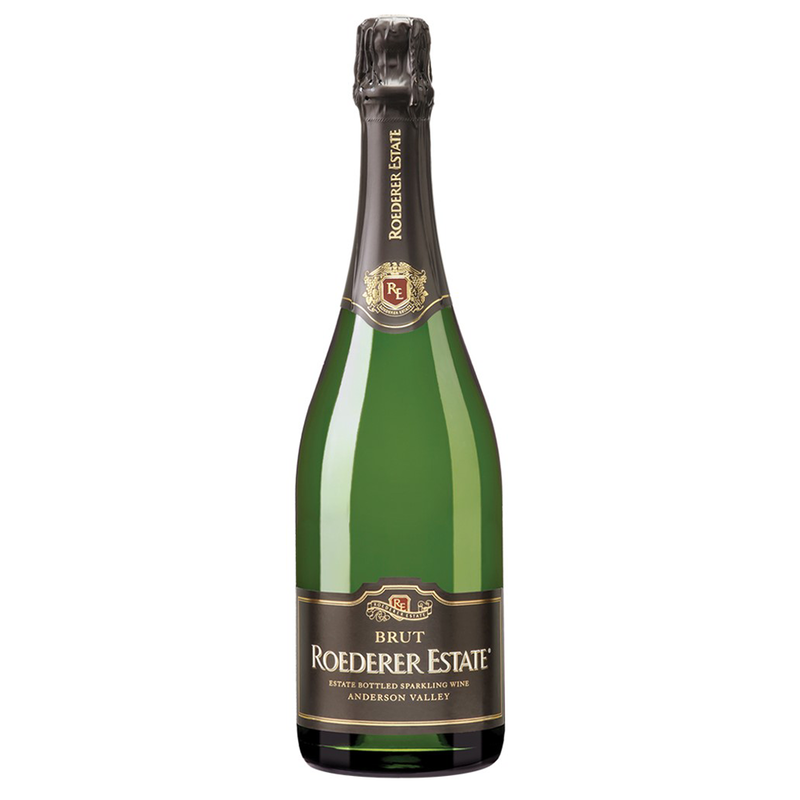 The Roederer Estate Brut is crisp and elegant with complex pear, spice and hazelnut flavors. It is fresh and lightly fruity with great finesse and depth of flavor. Founded in 1981, Roederer Estate is nestled in Mendocino County's fog-shrouded, Anderson Valley. As the California property of Champagne Louis Roederer, Roederer Estate builds upon a centuries-old tradition of fine winemaking. Seamless and silky, showing an almost effortless sense of complexity, with notes of lemon and pear paired with toasty brioche, fresh ginger and hazelnut details.